I don’t think anyone is going to survive from this tepid terrorist thriller. An explosive and fiery opener certainly grabbed my attention. Shame, the rest of the film couldn’t keep that momentum. Thinking back. The opening didn’t really bear much significance to the story. Shame. Corny, cliched, slow, boring and from the director of V For Vendetta? Words . . . Sigh . . . Escape me. So what’s it about? A Foreign Service Officer (Milla Jovovich) in London tries to prevent a terrorist attack set to hit New York, but is forced to go on the run when she is framed for crimes she did not commit. It really is as predictable and dull as you can imagine. No surprise, no twists and no thrills. The film meandered along and never really got going. Jovovich has never been renowned for her extraordinary acting ability but I really thought this could have been the platform to show that she can do more than Resident Evil movies. Shame. Her acting was more wooden than an IKEA table. It didn’t help that her character was so bland and one dimensional. The story was a pale imitation of a weak 24 story line that never made the cut. What infuriated me more was the British talent involved in the film that were playing Americans and . . . doing it badly! Antonia Thomas (Alisha from Misfits) may have fared better with the American accent but her character was so minor and unmemorable. It was shocking. And Frances De La Tour (Rising Damp), what on Earth was she playing at? Her accent was horrific. She seemed to give up 30 minutes in. Then realise “Oh, my character is in the American Embassy” and try and do her best John Wayne impression. Chloe from 24, she ain’t! It was all so slow. The visa process may have been interesting for 30 seconds but after 15 minutes, I could feel my eyes wandering towards my watch. Roger Rees did his best as the shady decoy that sets Jovovich’s character in play. Anyone who watched Warehouse 13 (Anybody? No?) will know he can play a shifty sod well. Inevitably, not everything is as it seems (Go figure) and Jovovich snoops in all the wrong places. Cue a botched assassination attempt and Pierce Brosnan in a bad tash and a variety of terrible wigs. The Watchmaker? More like Inspector Clousseau. The backstabbing and “twists” were so weak. You could call them from the opening five minutes. Jovovich’s introduction was so cliched. Hyped up as Washington’s top expert and some lazy and unnecessary reference to 9/11 to validate her integrity just hammed things up a treat. Brosnan is looking old. I mean, come on, he is in his fifties but it has definitely caught up with him. The whole Bond gone bad spiel has been ongoing for some time. He does his best but his character is so laughable. The lines and his delivery really didn’t do him any favours. However, every time he wasn’t in the film, I did miss him. Only because things seemed to happen when he was about. Silly, if racy, chases reprieved the film’s lumbering pace for a few minutes. Plus your attention on the poor plotting was distracted by a big explosion from the BIG BAD BOND. Even if it wasn’t necessary or relevant. Dylan McDermott (Stalker) did the best he could but he was just running around aimlessly. Attempting his best Jack Bauer impression and delivering really cliched exchanges with Jovovich. Did their characters have a past? Don’t know. Don’t care. James D’Arcy (Broadchurch) and Angela Bassett also tried to do what they could with their bland characters but it just didn’t work. The bureaucracy scenes have all been done before time and time again in numerous thrillers. Writer Philip Shelby didn’t even try to make them a teeny tiny bit interesting. One thing I could commend was the flip reversal with the English refusing to help and hiding their intentions. Shame their intentions were really petty and stupid. Nice one, Shelby. Bassett’s ambassador was so weak. How much authority does an embassy ambassador have? For all the comments about red tape, they were obeying her like she was the bloody President! Hmmm . . .
Jovovich may be easy on the eye (What?) but her delivery was so lifeless. A zombie could have done a better job. Just watch when Brosnan first points a gun at her. I was in tears . . . Of laughter. Considering her character was presented as America’s best, she wasn’t very clever. Didn’t even think that the Watchmaker may have put a tracker on her as he was always hot on her trail. One particular highlight for me was when her character was wandering around a park with a gun in her hand while people took pictures. And in one of the UK’s biggest CCTV hotspots? America’s top security expert? Yeah, I can see why she was shipped over to handle border patrol. It just chugged along like any old TV thriller. It didn’t try to anything different. By the numbers and formulaic. And the finale was a joke. As if to add insult to injury, the “action” hots up in New York during a New Year’s Eve celebration at Times Square (New Years Eve in a June movie? Really?). As Jovovich battled the Watchmaker for the umpteenth time and delivered one of the stupidest one liners, I gave out an exasperated sigh. Defeated. 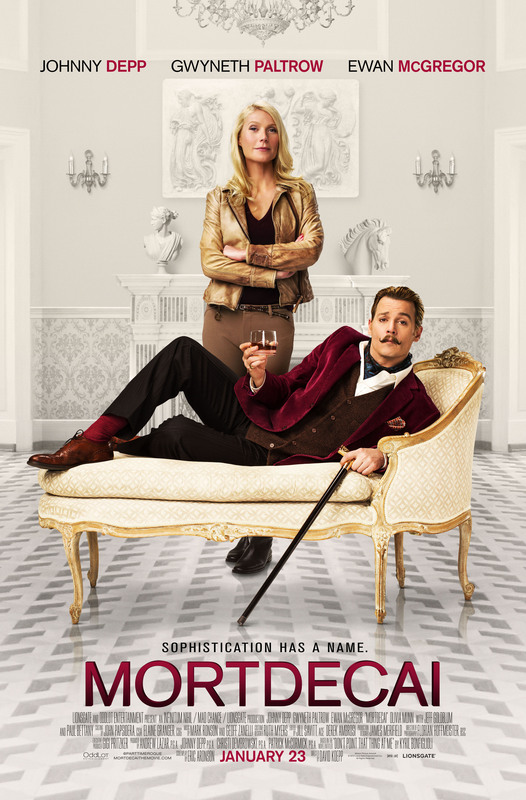 Normally I’m one to commend a pun but the film had infuriated me that much. 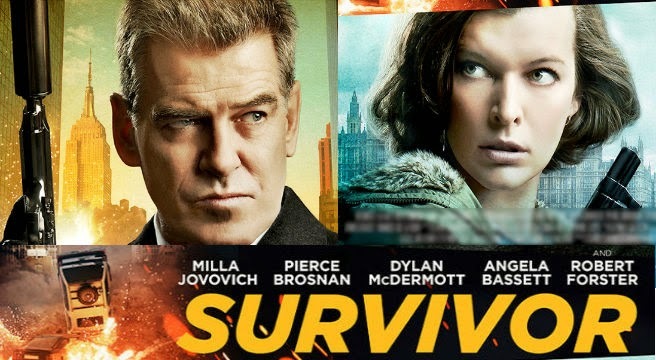 (SPOILERS) As Brosnan’s badly CGI’d Watchmaker fell and Jovovich mouthed the words, “Time’s up” (Ah ha! ), I said the same thing. James McTeigue must have needed the money. That’s the only conclusion I can come to. To go from an ultra-violent but clever political action thriller to this 24 hack job? Shame on you! And the pretentious terrorist attack stats during the end credit sequence were completely unnecessary. Just like the film, really.